I help people learn to trust their own emotions and perspectives about relationships, self-worth, and life decisions. Would you like to spend less time explaining to and educating your therapist about your cultural background and experience so you can focus on your main concerns? Perhaps you want to work on understanding yourself better, developing and nurturing healthy relationships, feeling more confident about yourself, figuring out major life decisions, or living a more fulfilling life. I will help you explore these issues while understanding how your sociocultural experiences have impacted you. I am a licensed psychologist (PhD in counseling psychology) and have provided individual and group therapy on several college campuses. I have also advised and coached hundreds of clinical psychology PhD students in their professional development. My work has been primarily with young adults and adults who identify as people of color, immigrants, international students, and LGBTQ folks. Through my academic work, clinical training, and life experiences, I understand and value intersections of identity at the individual level and at a systemic level (i.e., institutional sexism, racism, homophobia). 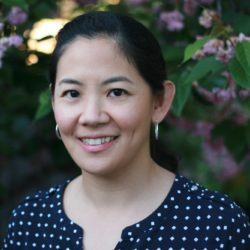 As an Asian American woman who grew up in a non-traditional Chinese immigrant family, I understand there is a lot of within-group differences as well as shared cultural experiences. In therapy, the goal is not to make unpleasant feelings go away. Instead, I help people trust their own emotions and see them as messages about how their life decisions align or don't align with their core values. I value being genuine as much as possible (this is not meant to be used as an excuse for being mean or inconsiderate of others’ feelings though! ), which means staying true to oneself and not focusing on pleasing others. It also means acknowledging that we have both strengths and challenges, that we do not have to pretend to be happy and nice all the time. This aligns with my perspective on life that we experience life on a spectrum - nothing is all good or all bad, nothing is perfect or completely worthless, no one can expect to shift from burn out to being completely stress-free. I am progressive in my social and political beliefs and support causes that protect civil and human rights. I also strongly support protecting the rights of pregnant and postpartum women in higher education and the workplace, including maternity leave and accommodations for breastfeeding/pumping. I am a straight cis-gender woman ally of gender non-conforming individuals and folks who identify as LGBQ.